From across the pond comes word now that Nigella Lawson, she of the cookbook and lifestyle empire, has been denied admission to the United States, due to reports of her testimony regarding her use of cocaine and marijuana. Now, Nigella Lawson has never been convicted of illegal drug possession or distribution. So what gives? Well, what appears to have happened is that Ms. Lawson was determined to be inadmissible to the United States because she may have “admitt[ed] to having committed . . . a violation of any law or regulation of a state, the United States, or a foreign country related to a controlled substance.” This ground of inadmissibility does not require a conviction of a drug offense, just an admission. But is Ms. Lawson’s apparent admission in a United Kingdom court sufficient for her to be found inadmissible? It seems highly doubtful. Here’s what we know. 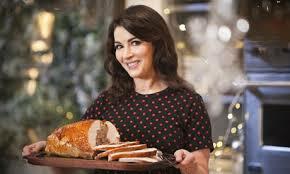 Nigella Lawson is a highly successful businesswoman. She has authored a number of cookbooks and lifestyle books. She has had her own television shows and has appeared in a number of tv shows about cooking and entertaining. Her private life burst out into the open in July 2013, when she was photographed being grasped around the neck by her husband, Charles Saatchi. Shortly thereafter, Ms. Lawson was a witness in the fraud trial of two of her assistants, who had been accused of wrongly using Saatchi’s credit cards. Their defense was that their use of the credit cards was allowed by Lawson in exchange for them not revealing her drug use. Lawson testified in court and stated that she had used cocaine and marijuana. Fast forward to last weekend. At London’s Heathrow airport, Lawson was apparently denied boarding a flight to Los Angeles. Apparently, Ms. Lawson has been found to be inadmissible due to her admission of a violation of a law relating to a controlled substance. U.S. law allows the Department of Homeland Security to find a person inadmissible if she has admitted to a violation of a law involving a controlled substance. It would seem simple enough. However, the process required to make that finding is tightly controlled by longstanding caselaw. Specifically, in the 1957 decision in Matter of K-, the Board of Immigration Appeals held that, in order to find someone inadmissible for admission of a controlled substance, these steps must be followed: (1) the individual must be provided with a definition of the offense with all essential elements; and (2) the individual must be provided with an explanation of the offense in laymen’s terms. Since the statute does not makes someone inadmissible for use of an illegal drug, but the violation of a law related to a controlled substance, DHS must identify the statute violated and the person must be provided with an explanation of the elements of the crime and must admit to all those elements. This process is usually undertaken at a port-of-entry between a Customs and Border Protection (CBP) officer and an applicant for admission. A person can not be found to be inadmissible if these requirements are not satisfied. This is why the explanation for Nigella Lawson’s inadmissibility in unconvincing. Perhaps there were other reasons why she could not board that plane. But, if she were indeed deemed to be inadmissible based upon her admissions of cocaine and marijuana use in UK court, it would seem that these procedural requirements were not honored as it does not appear that any sort of interview between DHS and Lawson ever occurred. In addition, it seems unlikely that Ms. Lawson, in her testimony ever specificallty admitted to violating a specific law. In other words, Lawson probably did not testify as follows: “Yes, I knowingly and willfully possessed a substance that I knew to be cocaine.” And it is unlikely that someone then said, “Aha! So you admit violating the Misuse of Drugs Act of 1971?” To which, she probably did not reply, “Yes.” It is not enough for inadmissibility for a person simply to say “I used cocaine.” They must admit violating a law and that law must be identified. Where? When? Was it really cocaine? All these questions need to be answered. And Lawson has an absolute right under U.S. law to say that she is “not guilty.” Therefore, it seems that, if she was denied boarding that plane on these grounds, she was wrongly found to be inadmissible. If she is, in fact, inadmissible, Lawson would be an excellent candidate for a waiver of inadmissibility. The law provides a generous waiver of inadmissibility for people seeking to enter the U.S. temporarily. Known as a 212(d)(3) waiver, the waiver allows inadmissible people to enter the U.S. despite their inadmissibility. In considering an application for a waiver, the DHS must weigh the following factors: (1) the risk of harm to society if the applicant is admitted; (2) the seriousness of the ground of inadmissibility and (3) the reasons the applicant is seeking admission. In assessing a potential Lawson application for a waiver, it would seems that she has a very strong case. First, it can not be seriously argued that Ms. Lawson is any threat to U.S. society if allowed into the U.S. Second, it is hard to say that this is a very serious ground of inadmissibility. It is not a conviction, it does not relate to violence, the sale of drugs, or weapons. It deals with the recreational use of illegal drugs in the past, an act that many millions of Americans have engaged in. As far as grounds of inadmissibility go, this would seem to be on the lower end of the serious scale. Finally, certainly Ms. Lawson has very good reasons to enter the U.S. An accomplished businesswoman overseeing an empire of lifestyle media, her commercial ties to the U.S. are substantial. U.S. businesses would lose out if they are unable to continue to collaborate with Ms. Lawson. Applications for 212(d)(3) waivers are made to the State Department and the Department of Homeland Security and both must agree to grant the waiver. The legislative history and the caselaw show that the the waiver is supposed to be generously given. In the end, Ms. Lawson should be able to get on with her life and her travel to the U.S. For now, no doubt she is reeling from this latest indignity. 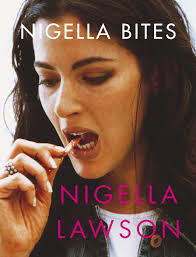 If you are reading, Nigella, there is hope. We can help! ← GUEST BLOG: Catholic University Law Students Win Protection for South African Client! If she was refused in London, though, who was it that turned her back? Was it the airline? Often airlines will refuse to allow someone to board if they fear that person will not be admitted to the country of destination, because they are liable for shipping that person back to their country of origin if they are refused entry. What recourse does one have then? Perhaps Nigella could bring along a copy of this article to argue her point with the gate agent.